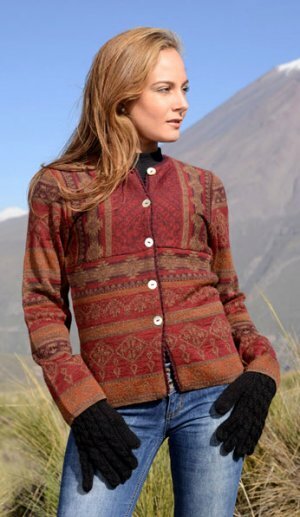 Sign Up Today for Island Alpaca E-Newsletters. Would you like this item gift wrapped? 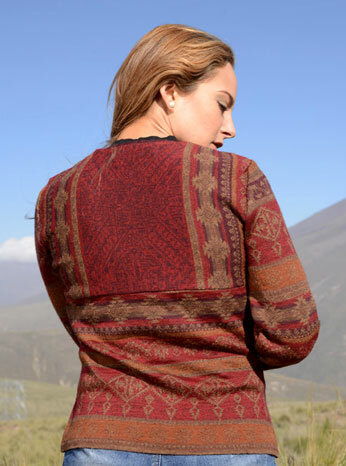 A true ethnic representation of many intricate designs inspired by the ancient Peruvian textile. A beautiful blend of colors of coffee, terra-cotta, burgundy and black give this design a true South-western appearance. Mother of Pearl buttons. For our return & exchange policy, click here.